Shia LaBeouf allegedly headbutted a guy in a London bar called Hobgoblin on Thursday night after the man reportedly made a foul remark about Shia’s girlfriend’s mother. Shia, 27, is heard screaming, "What are you saying about my girl's mom? Are you f**king kidding me bro?” A girl, presumably Shia’s girlfriend, is heard pleaing for him to stop. According to TMZ, Shia did later apologize and insists he’s “super normal,” but gets angry when "people s**t on my girl's mom." 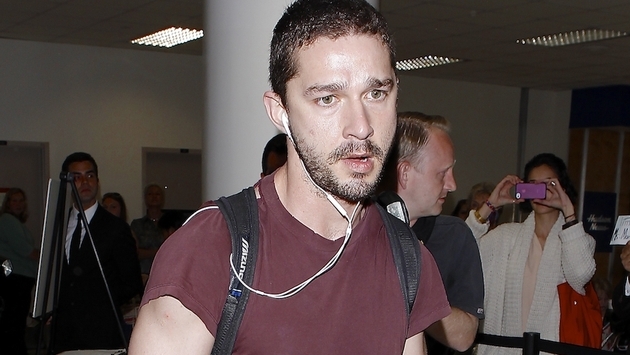 Shia, who recently revealed he’s retiring, has a history with bar brawls. The former actor was involved in another fight at the same pub in 2012, and a Vancouver bar fight was also caught on camera. To make matters worse, the plagiarism allegations led Jim Carrey to publicly humiliate Shia at the Golden Globes on Sunday night. Ironically, he’s not helping himself stay retired from public life.